I have recently been introduced to Linked Data and to RDF. 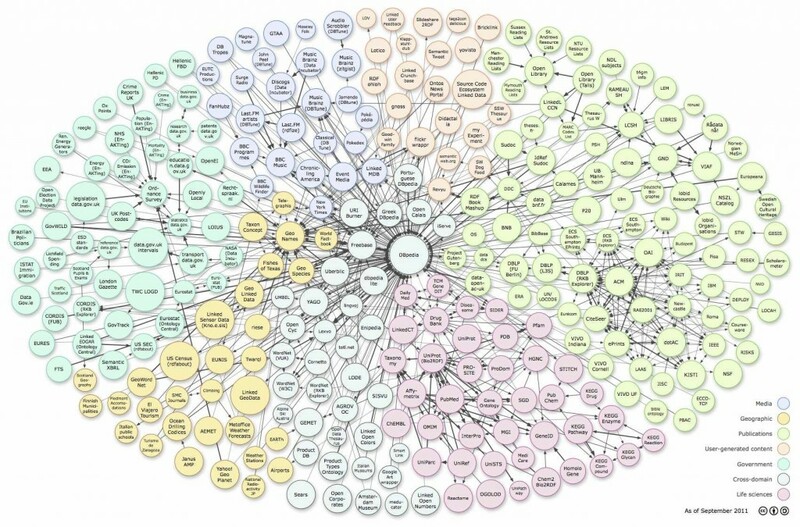 In my investigation, I have noticed that some have said that Linked Data and RDF is much like a solution without a problem (Defense against the claim). However, the relationships between datasets and the data created by those data sets have been growing over the past few years. I am being convinced that at some point there will be enough open data out there that there will be a tipping point where if your data is not shared in this method that app producers will not process your data (without significant extra charge in home-grown apps, or at all for externally produced data consuming apps). This means that the social significance of open and Linked Data in RDF will be more important than, more labor intensive proprietary data sets. I was watching this video, where several web app and several mobile apps were developed and competed for a prize. What one can do with this data is incredible. I particularly like the app which tells you how long it takes someone in London to travel from point A to point B. So where does this come into play with SIL International? Well, SIL is an NGO. NGO’s need engagement strategies. That is, Non-profits and NGOs operate to affect change. They have a compelling story, they tell the story and the hearers of the story are motivated to do some sort of action. This has been the very nature of the Kony 2012 video and story. Their web presence is not about marketing, it is not about messaging, it is not about branding or color palettes. It is about engaging people to commit a certain set of activities. The Kony campaign’s entire web presence from the scripting of the youtube film to the design of their website is about getting people to commit to do and to carry out those suggested activities. But how does this relate back to RDF and Linked Data? Well, if web apps and mobile apps are going to present data to users and work thought the presentation challenges of User Experience and User Interface in multiple locations and contexts. Then it becomes in the interest of NGOs as data providers to provide data which will affect users for their cause. Some NGO’s like SIL are very involved in content production. Consider the 40,000 plus items in the SIL bibliography of academic and vernacular works produced over their 75+ year history. These bits of content or resources are describable in RDF for data consumers. The obvious question is “Why”? That answer is simple: so that when others use Linked Data your resources are found and thereby promote awareness of your cause. Let’s say that the organization, Invisible Children released 100,000 images of children who were carrying AK-47s and shooting their parents and were maimed or raped. Let’s also say that these images were also geo-tagged for the locations they were taken in. And that this metadata and these images were made available as Linked Data. Then, when global leaders in internet mapping technologies like Google, Wikipedia, and Yahoo! create web based applications which display Geo-Spacial content from Linked Data sources who’s content do you think is going to be displayed when someone is looking for pictures of Africa? Image from BBC article about Kony. 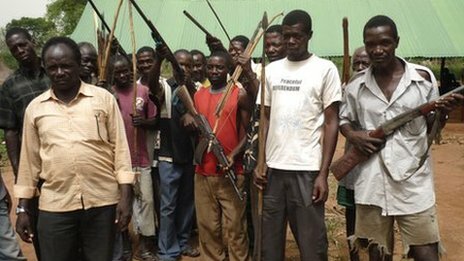 The BBC caption reads: "Some South Sudanese have already taken up arms against Kony and the LRA"
I have been looking for RDF ontologies for describing Bible portions. Particularly so that I can reference sections of scripture like chapter and verses of the bible (in addition to sections of books of the bible like The Prophets or The New Testament). Does such an ontology already exist? I have found http://bibleontology.com but this does not seem to be deep enough. I have also found http://www.semanticbible.com/ but the ontologies offered here do not seem to fit the desired coverage. Know of any other Bible Ontology projects? I have been following Learning Resource Metadata Initiative (LRMI), a collaborative effort between Creative Commons and the Association of Educational Publishers1) Creative Commons. 7 June 2011. Creative Commons & the Association of Educational Publishers to establish a common learning resources framework. http://creativecommons.org/weblog/entry/27603 . [Accessed: 27 November 2011] [Link] , with some interest as I start to look at SIL.org and potential services and resources offered through SIL.org are merged with the larger world of well described data. SIL has a long tradition of providing linguistic training. With the digital revolution, it only seems right that these training resources would be described appropriately in the educational arena. It will be interesting to look at LRMI as it develops over the next few months. And then to think about applying it in the context of Drupal.